Janet is calm and kind hearted, which shows itself easily in her body language. Bryan compliments her well by adding some playfulness to their alliance. While getting stung by a caterpillar hanging out on my camera bag wasn't a great way to start their session, I was in good hands with these two soon-to-be doctors. Congratulations to Janet and Bryan! This couple. Where do I even start? The only way to describe their energy when they're together is with the word contagious. 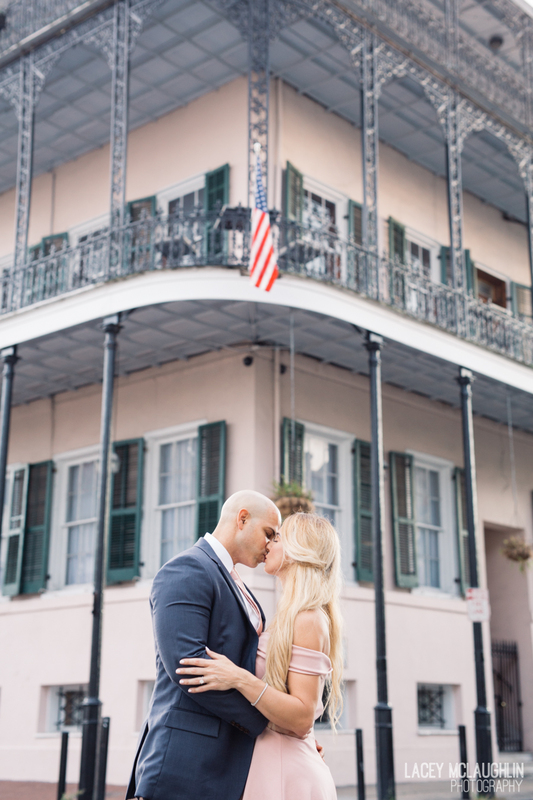 Jillian and Josh showed up in style, of course, as they casually sipped their drinks sitting together on a lively New Orleans street corner that reminded them of when they first met. Jillian walks with an extra beat to her steps, and Josh compliments her aura perfectly. We shared an incredibly sunny and beautiful spring day, as the azaleas bloomed among us. I feel so lucky to be a part of such an intimate and inspiring time of their lives together. Excited is an understatement for their wedding later this year, which I already know will be nothing short of runway-fabulous. Samantha and Brett were yet another one of those couples who I could just sit down to enjoy cider with and chat on a lazy sunshine day. The sun was shining, in fact, when I showed up to meet these two at the Carousel Bar. Incredibly calm and happy together, we pranced around the city getting to know each other with camera 'round neck. Samantha stated at one point how neither of them tend to wear much color. The more I got to know them, the more I realized their colors were within. You could tell by the way they looked at one another, they have a love that has matured over purely content moments. Samantha was all smiles that day. Brett brings out the laughter in her. It seems to work best that way. From the first time we spoke, I sensed Grace's vibrant energy and right away wanted to be friends with her. She had the door open for my arrival when I pulled up. Inviting as ever, Grace and Chris welcomed me into their weekend oasis, into a slice of their lives together. I was overly excited to photograph them after talking over all the little details of Grace's ideas and the adorable getaway spot they had booked. It was a crisp and serene morning. The clouds were covering the sun, but it eventually shone through. They were smooth and effortless together, their movements complimenting each other. Allowing me into their world, I did my best to observe. By the end, I didn't want to leave. The spirits were too high. I shoot their wedding later this year and I wholeheartedly cannot wait. These two arrived hand in hand on a brisk Louisiana morning. 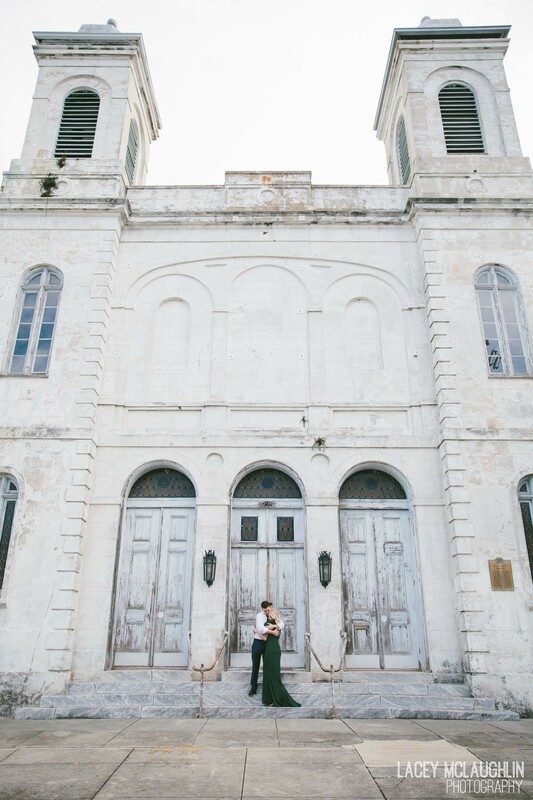 We walked around the Quarter, getting to know each other while capturing the moments in between. Ranell has a very relaxed air about her, while Bach a more inquisitive one. Having been together for a while now, you can tell that both R & B delight in the comfort of being held in one another's arms. A simple kind of love is the greatest kind of all. We can't wait to be there for Ami & Darshan's big day next year! Olivia and Dillan arrived with a symbol of their love, in hand. Their pup, Colbie, was Dillan's muse for welcoming Olivia home one day with a little bling tied around her collar. Since then, it's been nothing but love for each other as they started planning the wedding and the rest of their lives together. They way she looks at him says everything. He held her hand as she walked over the rocky pathways, which was a simple gesture implying how he kindly watches and takes care of her. Like the sun gracefully shines down upon the flowers, a love like this can help the other to grow. Congratulations again to Olivia & Dillan! We can't wait to be there for their wedding next year! Christina and Miguel arrived with a sense of calmness. I could tell right away that they share a unique bond by the way they communicate so softly with each other. It was a fall day, slightly warmer than the others but still shining a soft, beautiful light. I was first off captivated by Christina's long, luscious locks shimmering and bouncing about as she walked hand in hand with her new fiancè. These two were beaming. We spent the day walking through the large oak trees and the Quarter. After a few ants crawled into her shoe mid shoot, Christina handled it all with grace and a smile still on her face. A big celebration is in store for these two next year as they embark on a journey to share the rest of their lives together. She looks at him, he draws her in to hold her tightly and the world is theirs to take on together. 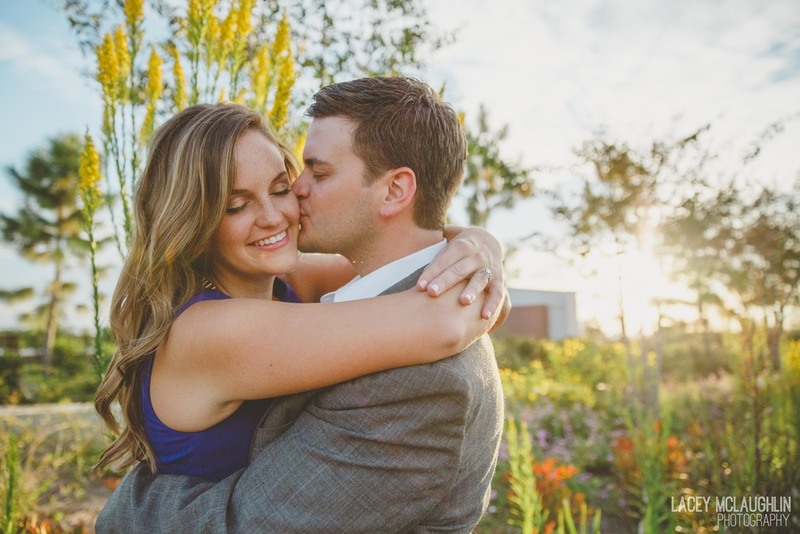 As Lindsey and Mike reminisced about when they first met, the way she looked at him revealed a delightful sense of contentment. Her eyes lit up as she asked him to tell the story of how it all began. The lighting was golden as we walked through the park, stopping to hop on trees or pause for a moment on dreamy footbridges. Comfortably in love, these two were made for each other. 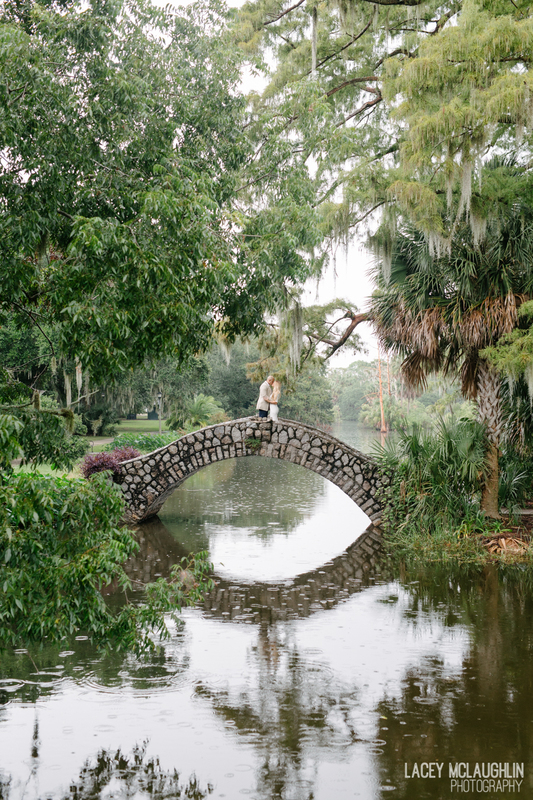 We can't wait to be there on their special day next year! Congratulations again to these lovebirds!